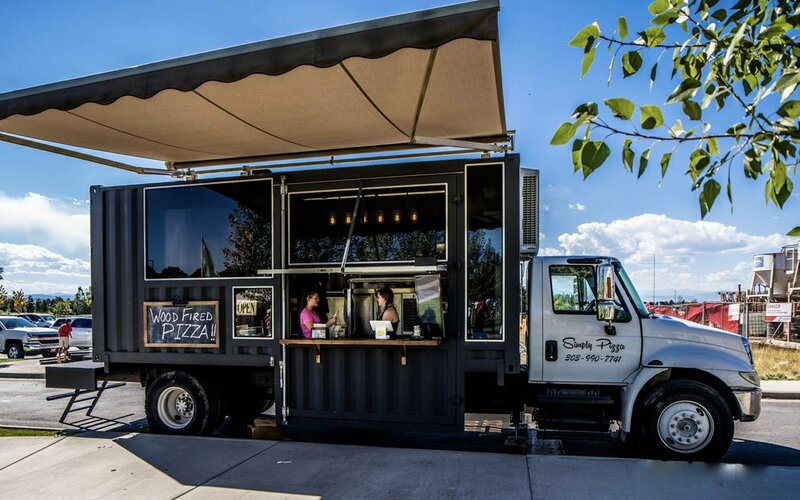 Kim Armstrong is the proud owner and co-pizza perfectionist of Simply Pizza Truck, which serves Neapolitan inspired wood fired pizza made with only the finest ingredients from family inspired recepies. Ty, her husband, and co-pizza perfectionist, spent over 1500 hours taking the unusual combination of truck and container and building this unique pizza factory work of art that captures the attention of all with her sheer presence. 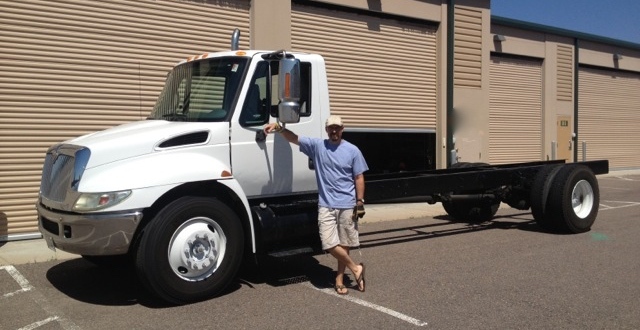 Although a woman owned company, Simply Pizza Truck operates by the hand of the entire family. For Kim, Ty, and their two daughters, Syd & Madi, cooking has always been the family's way of spending quality time together. As a result, the whole family has a hand in preparing all the recipes fresh and daily. Kate is a 2002 International cab chassis that began as a simple, plain, white and black platform that gladly accepted a 20' transatlantic shipping container to provide a canvas for the largest, most unique food truck in Colorado.